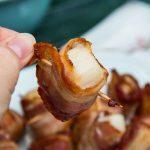 Bacon Wrapped Scallops Recipe. 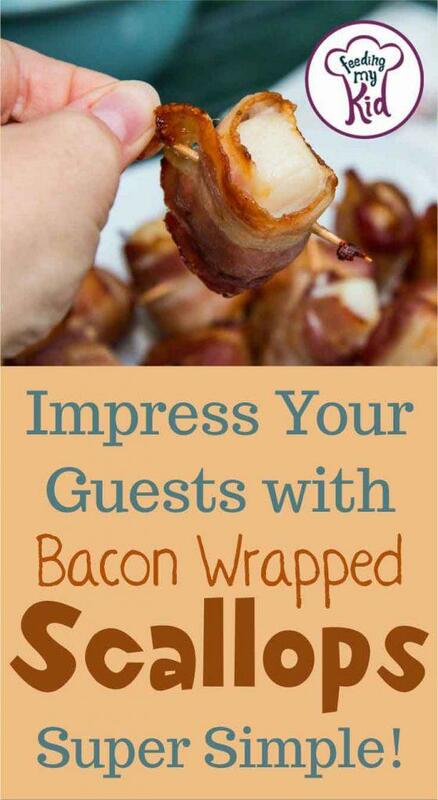 Perfect for Dinner Parties! Home Recipes Appetizers Impress Your Guests with Bacon Wrapped Scallops. Super Simple! Bacon wrapped scallops are a staple at many dinner parties! They’re great because they look like they take a lot of time and effort but they’re really simple! Your guests will love these bacon wrapped scallops! Two different ingredients that go so well together. All you have to do it prep your scallops and cut your bacon in half for each scallop. Then, wrap and secure with a toothpick. If you don’t have toothpicks or want to minimize waste, you can use a regular skewer and secure multiple scallops at once. All you need to do is broil your scallops for 10 to 15 minutes! They should be done once the bacon is cooked through and the scallops are just golden. Make sure to remember that carry over cooking occurs even after your remove your food from the oven. I would check to see how done the scallops are at 10 minutes and put back in at 2 minutes intervals until the 15 minutes mark if they are not quite done. If they seem done at 10 minutes, take them out. Let them rest on a paper towel and drain excess fat. This all depends on how strong your oven is! Overcooking your scallops will make them rubbery! Just make sure to keep an eye on them. Bacon wrapped scallops are the perfect dinner party appetizer. They look fancy and time-consuming but they're so easy to make. A favorite at many events! Wash and prepare your scallops. Season with salt, pepper, and paprika. Wrap each scallop with bacon and secure with a toothpick. You can also do this with larger BBQ skewers and secure multiple scallops at once. Broil for 10-15 minutes until bacon is cooked through, flipping once in between. You can drain the excess fat from the bacon on a paper towel afterward. Serve and enjoy! Next articleEasy Rice Pilaf with Lamb. Delicious and Gluten-Free!